This month’s newsletter contains an announcement of a new publication on SEPLS in Africa, and reports from a number of recent events in the USA, Madagascar and Kenya. We also have announcements from IPSI members about the latest issue of the COMDEKS newsletter, the launching of a national network for the Satoyama Initiative in Uganda and an introduction of one of IPSI’s newest members, the NGO Nature Tropicale in Benin. A new publication titled “Socio-ecological production landscapes and seascapes (SEPLS) in Africa” was recently published jointly by the United Nations University Institute for the Advanced Study of Sustainability (UNU-IAS) and the University of Tokyo’s Integrated Research System for Sustainability Science (IR3S/UTIAS). This publication is a compilation of 12 SEPLS-related case studies from six African countries – Benin, Cameroon, Ethiopia, Ghana, Kenya and Uganda – building on the Satoyama Initiative Regional Workshop in Africa, which was held in Accra, Ghana from 10 to 12 August 2015. This compilation aims at contributing knowledge and understanding on SEPLS in Africa, with a particular focus on their role in human well-being and sustainable development. Discussions in the publication centers on common issues relating to the status of, trends in, and threats facing SEPLS and what needs to be done to revitalize, conserve and ensure their sustainable management. The case studies are written in a descriptive manner to provide readers with concise, informative and easily understandable information. “SEPLS in Africa” is available for download from the IPSI website here. The IPSI Secretariat and many IPSI members took part in a number of events and activities at the IUCN World Conservation Congress (WCC) 2016, held from 1 to 10 September 2016 in Honolulu, United States of America. The World Conservation Congress is a major meeting under the globally influential processes of IUCN, held every four years. IPSI members and the Secretariat have been involved with IUCN processes since the beginning of IPSI, and regularly attend conferences including this one and the World Parks Congress. The IPSI Secretariat held a workshop titled “Promoting agricultural landscapes that are good for people and good for nature”, with presentations by William Dunbar (IPSI Secretariat), Jayant Sarnaik (AERF, India), Wei-An Tsai (HDARES, Chinese Taipei) and Hugh Doulton (Dahari, Comoros), and moderation by Kuang-Chung Lee (National Dong-Hwa University, Chinese Taipei). We also organized and participated in poster sessions, workshops and other events on topics from the Satoyama Initiative itself to training in use of the Indicators of Resilience in SEPLS, and gave presentations and comments in a number of other sessions. We were also glad to see many of our friends from the IPSI network at the Congress and have a chance to talk to many of you. We were most pleased at the WCC to see that the emphasis on landscape approaches has become much more prevalent in many fields, from conservation to sustainable agriculture and beyond. It seems that IPSI’s work with a SEPLS approach is becoming more accepted throughout these fields. We look forward to continuing this momentum and moving toward implementation of a SEPLS approach with a wider audience. More information about the IUCN WCC can be found on its website here. A training workshop was held from 25 to 27 August 2016 in Moramanga, Madagascar, to train participants as facilitators for resilience assessment using the “Indicators of Resilience in Socio-ecological Production Landscapes and Seascapes (SEPLS)”. The workshop was one part of the large-scale IPSI Collaborative Activity known as the “GEF-Satoyama Project“, with selected projects in three biodiversity hotspots – Indo-Burma, the Tropical Andes, and Madagascar and the Indian Ocean Islands. An Inception Meeting for the Madagascar and Indian Islands segment of the project was also held on 24 August. Each of the selected projects will use the Indicators of Resilience as a part of their assessment and monitoring, and will carry out various SEPLS-related projects partly informed by their results. The Indicators of Resilience were also created as part of IPSI’s Collaborative Activities (please see here and here for more information). The workshop consisted of indoor sessions to learn about the Indicators and their use, and a practical element in the Ankeniheny-Zahamena Corridor, with participation by members of the local community. The training was administered by staff members from IPSI members Conservation International Japan and the Institute for Global Environmental Strategies (IGES). More information on the workshop can be found on the GEF-Satoyama Project website here. A full-day training session was held as a “conservation campus” event at the IUCN World Conservation Congress on 5 September 2016 in Honolulu, Hawaii. This training was also part of the “GEF-Satoyama Project”, mentioned in the article above. This training brought together around 35 people from all over the world who were interested in learning more about the Indicators of Resilience in SEPLS. While some were already familiar with the Indicators and the GEF-Satoyama Project, this also provided an opportunity for wider awareness-raising about both of these projects among people from various fields related to IUCN, other indicators projects, and conservation work in general. More information about the session, speakers presentation slides and others can be found on the IUCN WCC webpage here. 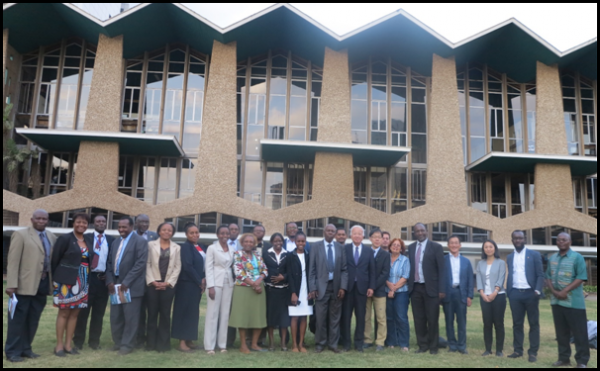 A side event entitled “Enhancing Resilience against Climate and Ecosystem Changes in Sub-Saharan Africa through Utilizing Indigenous and Local Knowledge” was held at the Sixth Tokyo International Conference on African Development (TICAD VI) on 25 August 2016 in Nairobi, Kenya. Speakers and participants from United Nations University Institute for the Advanced Study of Sustainability (UNU-IAS), the University of Nairobi, The University of Tokyo, Kenyatta University, University of Ghana, University for Development Studies (Ghana), UNESCO Man and Biosphere Programme and World Agroforestry Centre (ICRAF) shared and discussed programmes, research findings on biodiversity, ecosystem and climate change as well as best practices combining both indigenous and local knowledge and modern science and technologies for enhancing the resilience of Africa’s diverse and vulnerable landscapes. 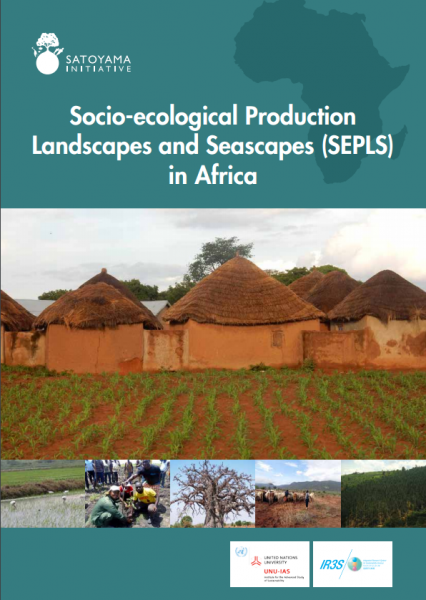 The new publication “Socio-ecological Production Landscapes and Seascapes (SEPLS) in Africa”, developed by UNU-IAS and The University of Tokyo building on the Satoyama Initiative Regional Workshop in Africa held in Ghana in August 2015, was also presented during this side event. For more information on this side event, please visit the UNU-IAS website here. The IPSI Secretariat was very pleased to recently have word from IPSI partner the Environmental Protection Information Centre (EPIC) in Uganda about the launching of a Satoyama Initiative national network for that country. A workshop was held from 7 to 10 August 2016, titled “Enhancing Benefits for People and Biodiversity”, with all regions of the country represented, as well as representatives from the National Forestry Authority (NFA) and National Environment Management Authority (NEMA). This workshop was held as part of the activities made possible by a grant from the Satoyama Development Mechanism (SDM), an IPSI collaborative activity carried out by the United Nations University Institute for the Advanced Study of Sustainability (UNU-IAS), the Institute for Global Environmental Strategies (IGES), and the Ministry of the Environment of Japan (MOEJ). The new national network is a great step forward in the implementation of the Satoyama Initiative in Uganda, and we join the whole IPSI partnership in looking forward to the continuing progress of this network in the future. Known as the first Beninese NGO to become a member of the World Conservation Union (IUCN) since 2004, Nature Tropicale is a non-profit association founded in 1995. Its mission is to promote the conservation and sustainable use of biological diversity through information sharing, education and awareness of different actors, particularly youth. The objectives of Nature Tropicale NGO are part of an educational, Eco touristic and scientific framework including to inform and educate the public about the richness of our biodiversity through audiovisual media, raise public respect for better management and protection of biodiversity, and transmit to local communities and especially vulnerable groups a passion for nature and the natural sciences while contributing to the reduction of poverty. Nature Tropicale’s activities are based on environmental education for change among the behavior of nature, environment and biodiversity; the training of young leaders for the Conservation of Nature (Future Seed); management and sustainable use of biological diversity; the safeguarding of migratory threatened or endangered species and fragile or sacred forest and aquatic ecosystems. Since May 1996, Nature Tropicale has implemented the first Museum of Natural Sciences in Cotonou, an entertainment, education, and training center for sustainable use of biological diversity. Nature Tropicale has developed concrete actions in the field within the framework set by the Earth Summit in Rio de Janeiro and the provisions of the Convention on Biological Diversity (CBD). For more information, please see Nature Tropicale’s website here.